Get 50% discount now on the Sightseeing Flex Pass for children up to and including 12 yrs and 20% off adult passes for 6, 10 & 12 attractions. 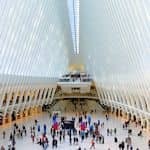 The Sightseeing Flex Pass is one of my favourite passes because it’s cheap and flexible. Use code “ERICOFFER”. 50% discount on the Sightseeing Day Pass for children up to and including 12 yrs and 20% off the adult passes for 3, 4, 5, 6, 7 & 10 days! The Sightseeing Day Pass is perfect if you want to see and do as much as possible during your stay. Use code “ERICOFFER”. 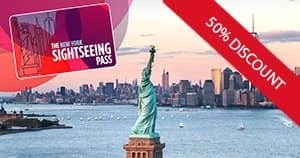 You can now get up to 30% discount on the New York Pass! 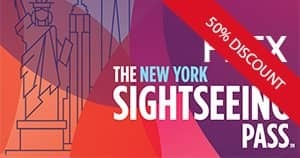 You buy this pass for a set number of days and get access to over 100 tours and attractions in New York within that time. The pass is valid for one year after purchase. Special offer! 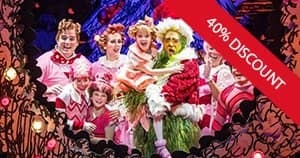 Get 40% discount on your How The Grinch Stole Christmas! the musical tickets! This Christmas classic is a perfect festive show for the whole family. Get your tickets now, they will sell out quickly.